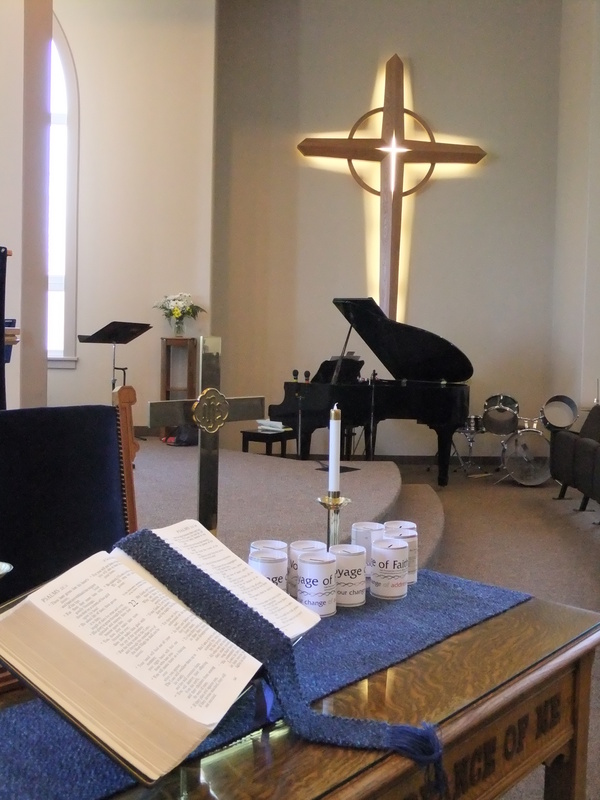 Worship includes preaching, sacraments, musical praise, prayer, teaching and fellowship. By these joyful means, Christians encounter the Lord Jesus Christ among them as they gather and are equipped to participate in His work in the world. Gale holds its worship service at 10:30 a.m. We enjoy welcoming guests to all services. If you are unfamiliar with a Presbyterian style of worship, here is what you can expect from worship at Gale. Gale’s worship almost always includes a sermon, a word from the minister drawn from the Word of God in Scripture, which seeks to connect God’s Message to daily life. 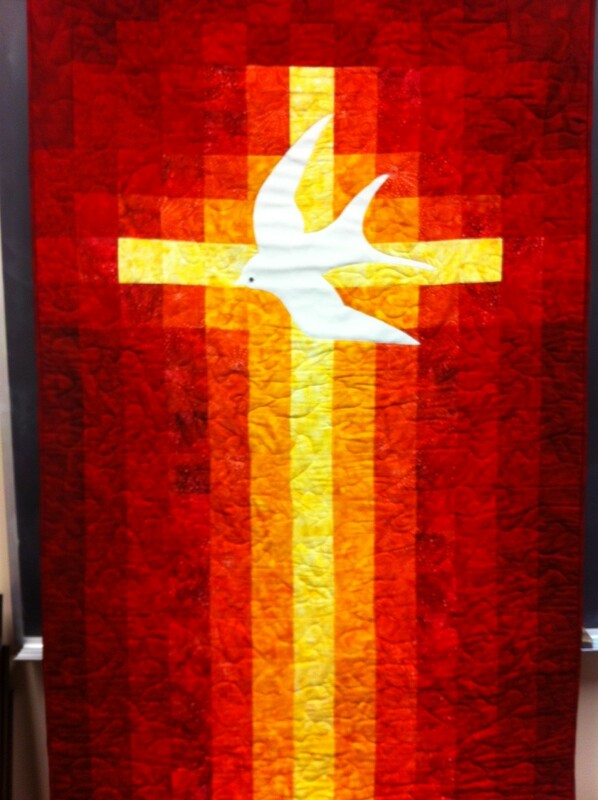 Sacraments are also central to Presbyterian worship. At Gale, we baptize believers and their children as a sign of inclusion in the people of God, and we celebrate communion (the sacramental meal of bread and wine) four times a year. Gale welcomes to communion, all who profess faith and who wish to know/follow the Lord Jesus. Gale’s praise combines traditional and contemporary styles of worship music. At most services a 20-member choir and 10-member praise band lead the congregation’s praise accompanied by a clavinova, piano, guitars and drums. The congregation may sing either from the hymnbooks or from the words projected on the screen. If music is something that draws you to church, you may wish to explore with our music director opportunities for joining the choir or praise band. Jesus welcomed children and worship includes a place for children at Gale. There is a part of the worship in which toddlers to tweens come forward for a special talk with the minister before leaving for the Sunday school program. Sunday school runs simultaneously with church, September through June, and provides Christian formation to kids from kindergarten through grade 8. Younger children and babies are welcome in a staffed nursery that is located just off the sanctuary. If a parent prefers to be with his or her child, a window between the nursery and sanctuary allows a view of the service. Church is not just a place to go to talk about God. In worship we believe that God talks to us (through the Scripture readings, sermon, sacraments etc.) and there are also times of prayer when we lift our voices and talk to God. At Gale some people use the quiet times at the beginning and end of the worship service to offer private prayer to God. In the worship, prayer is of various kinds: some praises God (adoration), some levels with God about our faults and failures (confession), some asks for God’s help in particular situations (supplication, intercession, lament), some accompanies an offering which is set apart for God’s use (dedication). Most people offer prayer of some kind to the God of their understanding. We pray “in the name of Jesus Christ” and include a model prayer Jesus taught (the Lord’s prayer — sung in the worship at Gale), because we believe it is through Jesus Christ that our prayers come before God. When you arrive for worship at Gale you will receive a bulletin which contains the order of service. This will guide you through the worship service and includes announcements about anything that is going on in the church’s life. A typical order of service includes: announcements, call to worship with entry of the Bible and prayer bowl, a couple of praise songs, prayers, a children’s story, a choir anthem, scripture readings, sermon, more prayers, more singing, the collection of the offering, the benediction and the exit of the Bible. The Presbyterian church ordains both men and women to offices of church leadership. The minister is the one who gives the sermon and celebrates the sacraments, but all God’s people are called to participate in the joyful act of worship — some as readers, some as music leaders, some as members of the congregation turning their thoughts and hearts toward God. Elders are those who lead and govern in Presbyterian churches. Besides the minister, other elders may be visible in the worship service as those serving communion or as those who have welcomed you at the door. Gale’s new building offers an elevator and an audio-visual system in the interest of full accessibility. However, accessibility also refers to how easy it is for someone “off the street” to feel a part of the worship at Gale. If you are puzzled as to why we do anything that we do, or have any other accessibility issues, please speak to the leadership (minister or elders), who are there to help. If you are checking out this website but have not yet come through our door, we warmly invite you to worship at Gale.